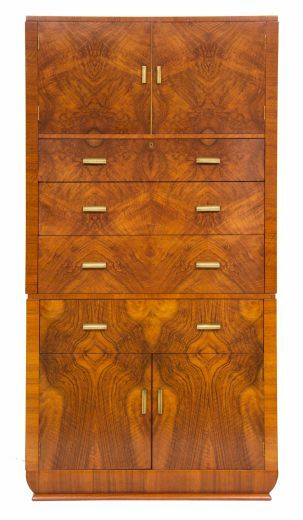 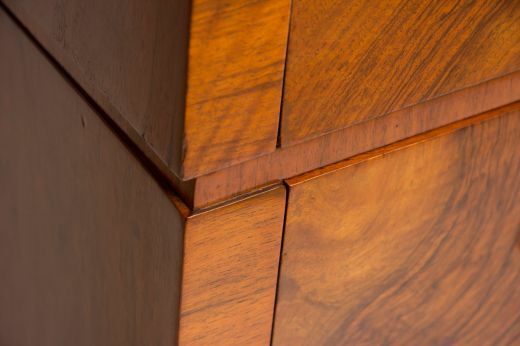 An impressive and rare art deco chest on chest. 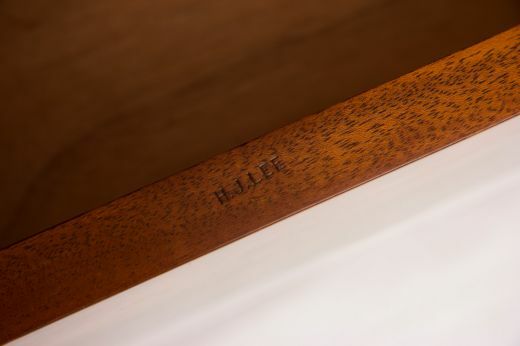 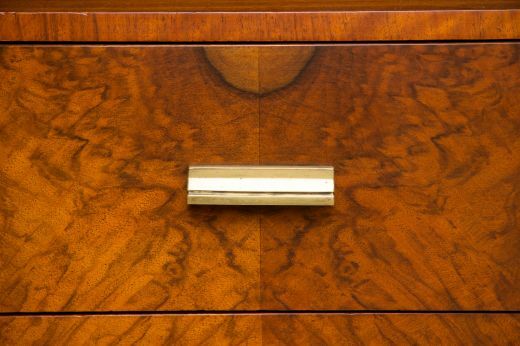 beautiful burr walnut with bronze handles. 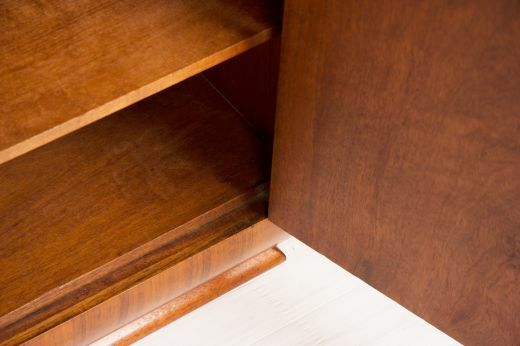 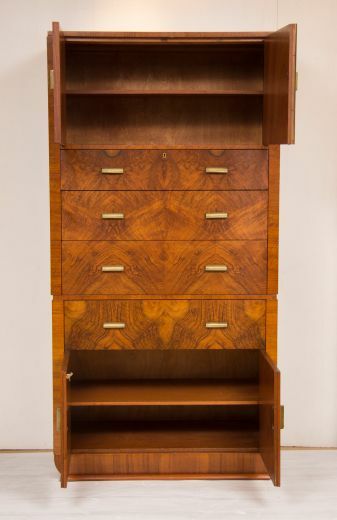 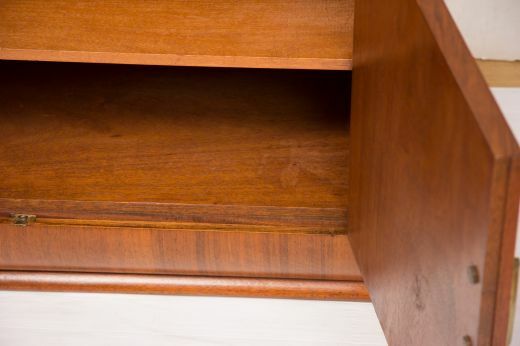 the lower chest has a two door cupboard with single shelf with a drawer above. 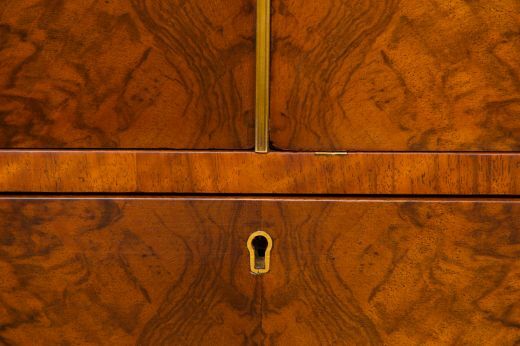 the second chest has three drawers with a door door cupboard above with single shelf. 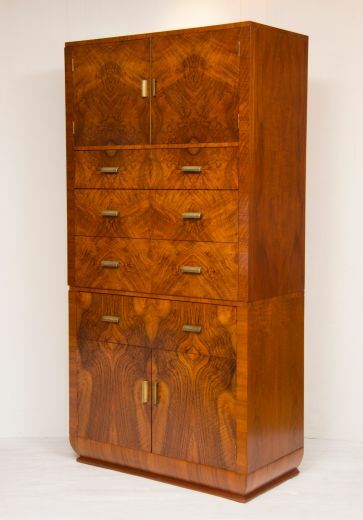 very fine quality to this beautifully figured walnut chest and curved bronze handles.